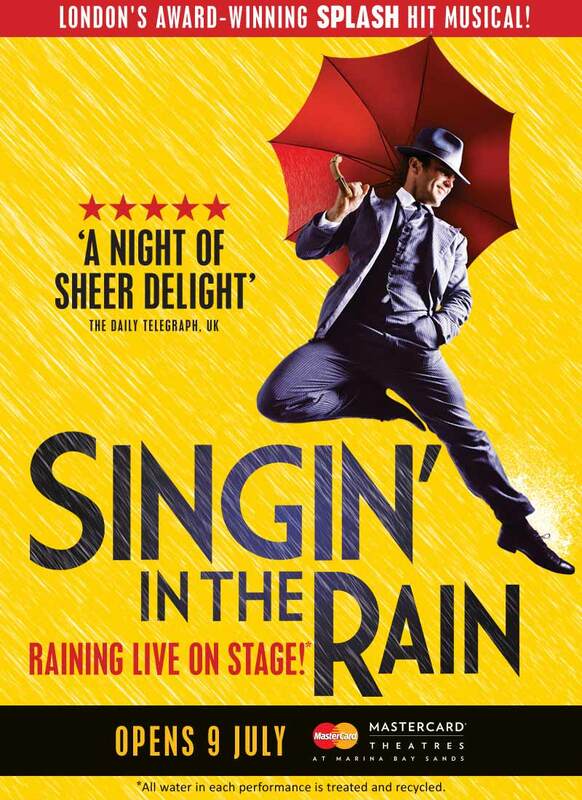 Singin’ in the Rain is a romantic comedy musical which features all songs from the glorious MGM score including Good Morning, Make ‘em Laugh, Moses Supposes and the classic Singin’ in the Rain. You can expect excellent high-energy dance choreography and beautiful, dynamic set design and colorful costumes like what you can see in the picture below. 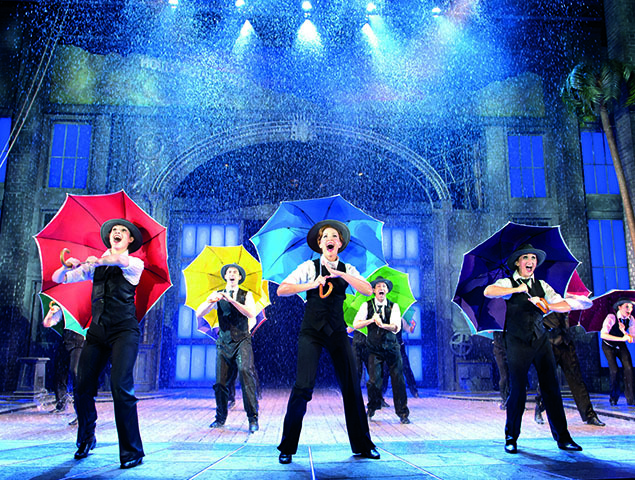 So if you are interested in the Singin’ in the Rain dance choreography and strong musical score instead of a wet interactive experience, rows five and beyond are your best bet to staying dry where you can sing to the tunes of Singin’ in the Rain while watching the people in the front 4 rows get drenched. 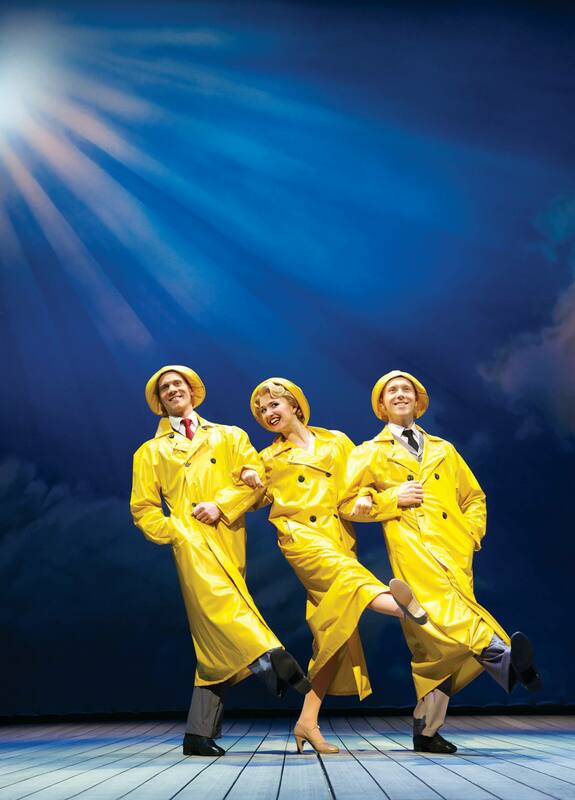 Look out for tap-dancing moves – for me, the action starts to get very exciting from the Moses Supposes number and culminates in a Singin’ in the Rain song just before the intermission. 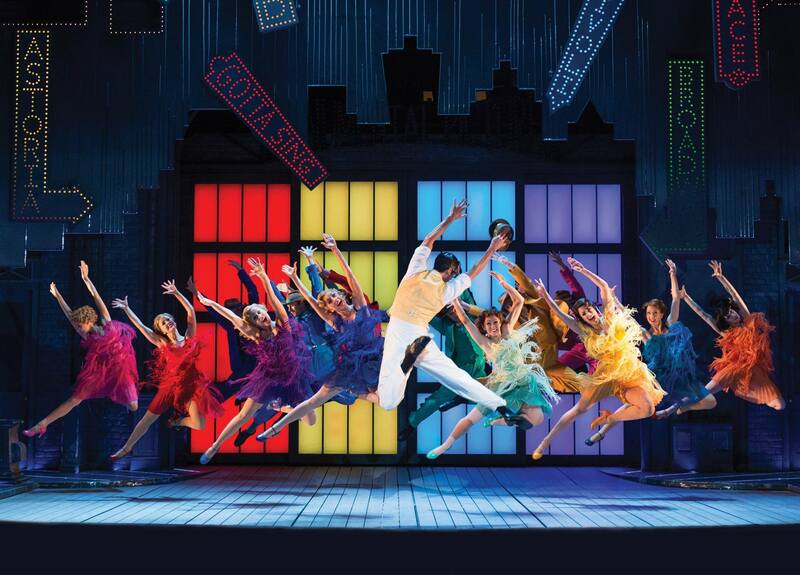 Look out for the very unique finale ending of Singin’ in the Rain too!